For the true lovers of coffee, it does not get any better than a home brewed espresso. The authentic taste of the espresso may be a little bitter for most casual drinkers, but for the diehard coffee enthusiasts, it is a divine taste that the tongue craves for over and over again. Whether it be for your personal enjoyment while reading your favorite book or for calling over the friends for a nice and warm “coffeelicious” conversation on a rainy day, espresso is often the best option for home brewed coffee. The problem arises when making the espresso. Getting your espresso brew spot on is not nearly as easy as indulging in the coffee itself. 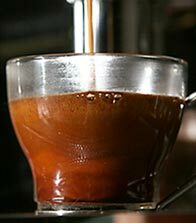 You need to be aware of a decent number of tricks and techniques to perfect your espresso brew. In short, you have to know the secrets of making a flawless shot of espresso at home, and luckily for you we will we be letting you in on 4 of the most important secrets. If you want a seamless shot of espresso to rejuvenate your body, then you need to get hold of the best quality coffee beans on the market. The quality of the espresso depends a lot on the quality of the beans that you put into the grinder. There are numerous blends available, some of which reflect perfection, fine taste and flawless espresso art. The worst thing that you can do to tarnish your espresso experience is buy the low quality, cheap beans. Most of these beans produce torrid shots of espresso that will leave you brushing your tongue with toothpaste. It is therefore imperative for you to seek out the best coffee roasters in town if you love shopping local; otherwise you can buy online and obtain a great quality bean collection roasted in Italy. 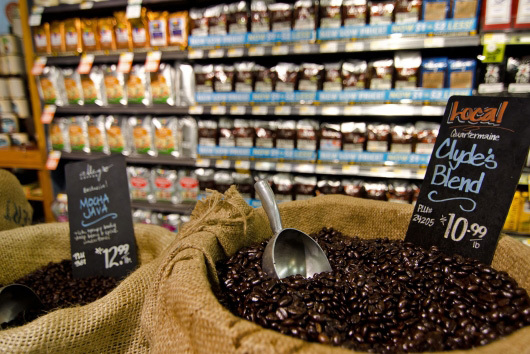 If shopping local look for the ones that are well established and have a commendable reputation among the coffee lovers’ communities. When it comes to purchasing coffee, you should feel no shame in asking for a sample at the local market. Once you have the sample in your hand, make sure that the coffee beans are fresh. If they are, then you are good to make the purchase. The oil content in coffee beans is about 12%, which is relatively quite high. Therefore, you need to apply a high amount of heat and pressure to ensure that the delicate flavors of the espresso are properly extracted from the beans. A temperature of about 198 to 201 degrees should suffice, while the pressure required is approximately 9 bars or 131 pounds. It is important to buy an espresso machine that is well capable of exerting such high levels of heat and pressure. The right balance of grinding the espresso beans will result in a more efficient the extraction of flavors will be and the richer the coffee will taste in your mouth. Understanding why coffee should be finely grinded but not too finely grinded is the easy part. Carrying out the actual grinding is when the task becomes a little tricky. Most home grinders are not powerful enough to reduce the beans into fine espresso grinds. The best option would be to let a roaster near your house do your grinding for your for a minimal fee. The sign of a perfectly brewed espresso is the presence of crema sitting prettily on top of it. For those of you who are not familiar with the word crema, it is dissolved (actually an emulsification) oils and solids that form the foamy goodness on top of an efficiently extracted espresso shot. The color of the crema usually ranges from golden to deep brown. Crema does not stay on top of the extracted shot for too long (starts to break down, this takes a bit of time), as the effects of the air cause it to rapidly residue. If you don’t want to miss out on the crema, drink the coffee right after the extraction. If you follow these simple, yet highly important steps, you can have the perfect home espresso every single time you turn on your home espresso machine. The key is to basically purchase the best quality ingredients and stay updated with the latest techniques of home brewing. Once you get the basics right, you can create room for a little bit of experimentation.